SongEun ArtSpace is an innovative and exciting exhibition venue in the heart of the vibrant Chung Dam District of southern Seoul renowned for its galleries, fashion houses, restaurants and culture. 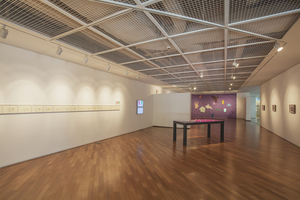 Established by SongEun Art and Cultural Foundation in 2010, this newly opened space is dedicated to promoting contemporary art through significant exhibitions and various related programs. This free standing building houses the non-commercial exhibition spaces on the second, third and fourth levels, with a cafe/restaurant on the ground level and S.Atrium a multi-functional event hall on the B2 level. Following the wishes and spirit of the founder Sung-Yeon Yoo, the foundation has been supporting young up and coming Korean artists since its inception in 1989 through the SongEun ArtCube and the annual SongEun ArtAward (since 2001). The recent expansion into this new building specifically designed for art exhibitions and events reflects the current chairman and son of the founder, Sang-Duck Yoo’s steadfast commitment to art and culture and provides the foundation with the necessary infrastructure to elevate and expand its ability to give artists greater opportunities to show their work and to provide the public more access to the contemporary art scene. In this spirit, all exhibitions will be open to the public free of charge. 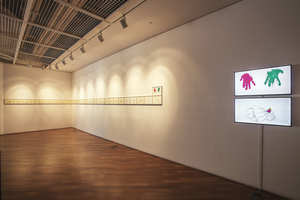 SongEun ArtCube, formally known as SongEun Gallery, was established by SongEun Art & Cultural Foundation in 2002, as a nonprofit art space within the SAMTAN office building. The aim of this program is to encourage the creative impulse of up and coming artists and to expand the opportunities for the public to experience and appreciate the new directions and developments in the contemporary art scene. 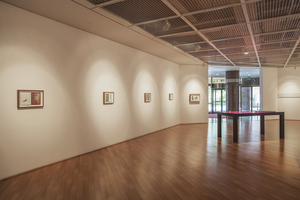 Beginning with the inaugural exhibition in January 2002, SongEun ArtCube continues to select young unexposed Korean artists with an exhibition venue and brochure for their exhibition opening. 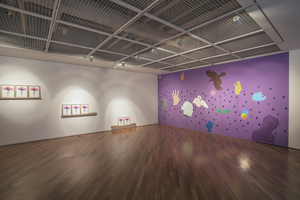 SongEun is a non-profit art space and foundation that is strongly committed in supporting young contemporary Korean artists through a variety of programs. We aim to continue the development of these unique programs in hopes of providing a diverse platform for our artists to be further exposed both domestically and internationally. With this in mind, we are extremely excited to announce the opening of a new temporary space from June 2017 called “SongEun ArtStorage: Not your ordinary art storage”. This storage space is located at our new building site which is currently being redesigned by Herzog and de Meuron. It will be open for one year featuring a selection of our Korean contemporary collection, site specific installations, a white cube project space and a video screening room.